Pastor O's Blog: Part III: What does local church leadership look like, esp. at Sunrise? Part III: What does local church leadership look like, esp. at Sunrise? Following the Paul's key principle for leadership expressed in my last post, leaders are those who demonstrate the fruit of this principle: Leading by Following. I do believe this verse is primarily messianic (its referent is mainly Jesus). However, I do believe it can have a powerful secondary application to us -- especially as we're called to 'follow the example of Christ' (1 Cor. 11:1). The one who leads and rules well, devotes himself well to closeness with God. As I said earlier, being a good leader starts with being a good sheep. When a person devotes himself/herself to closeness with God, he can't help but produce fruit. Specifically, one starts to demonstrate the qualifications of an elder or deacon/deaconness. We went over the qualifications of an elder (1 Timothy 3: 1-7; Titus 1: 6-9) and a deacon/ness (1 Timothy 3:8-13). You can read these on your own if you like, I won't list them here. Elders & Deacons/nesses are the main leaders of the church as described in the New Testament. While elders and deacons/nesses (okay, from now on, let's just go with deacons...like actresses are sometimes called actors, right?) have demonstrate similar fruit/qualifications, their roles or functions are quite different. Again, I don't want to get into too much Biblical data here other than to summarize (you can email me for the specifics I gave at the meeting if you like). An Elders role: To manage, teach, rule, counsel, protect. As one pastor put it, you might say an elder's specialty is leading with words. A Deacon's role loosely involves: Administration, Maintenance, Caring for physcial needs. You might say a deacon's specialty is leading with works. Both serve with works and both serve with words because both MAJOR in loving Jesus and His Church, but they each MINOR in different roles. Talking with other grizzled veteran pastors, they seem to concur with this statement. A church almost necessarily needs to establish its elders before working through establishing deacons -- because the elders need to assess and determine the needs that they cannot address without neglecting of their biblical functions summarized above. For Sunrise, I would also suggest adding the post for Small Group Leader into the leadeship mix. Romans 12:8 does mention leadership as one of the spiritual gifts. While we certainly desire elders to be involved in leading Small Groups or Fellowship Groups, we may not have enough. Also, there needs to be an initial training or proving ground for future elders. Where else but leading small groups? (Where a person gets to teach, manage, and, on a small level, counsel on a bit smaller scale). What does all this look like at Sunrise Community Church? Pastors & Elders who pray for the church, counsel hurting folks, teach & lead, and make rulings on church matters -- all while laying our lives down for the sake of God's flock (see 1 Peter 5:1-5). Deacons. Deacons are appointed by elders to help administrate & maintain ministries that are established and ultimately overssen by Elders. Fellowship Group/Small Group Leaders - Pracitice gifts of leadership through caring for and leading Fellowship Groups with the help and guidance of Elders. Deacons and Fellowship Group leaders will need opportunities and natural outlets to both provide input to the Elders and have accountability with them. You can pray that the Spirit helps us with the best way forward in these endeavors. 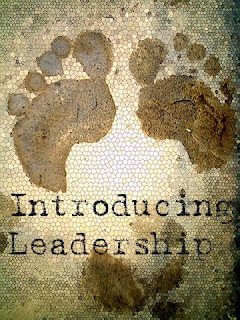 A final word: Leaders, following the example of Jesus, are always called to be servant leaders (Mark 10: 35-45). If you aspire to serve on God's church, begin practicing being a bridge -- to lay down your life so that you might serve as bridge for others to walk on to get to Jesus. Thanks be to Christ, who gave us the supreme example and empowers us through the cross!